Am I the only mom who feels like my kids never do what they're supposed to, follow my rules, or listen to me? I know I can't be the only one....right???!!!! My husband came up with this fabulous idea for our kids! M&M (like most kids, I'm sure) do not like going to bed. They stall, create excuses, feel thirsty, are hungry, need this, need that at bedtime. You know what I mean! 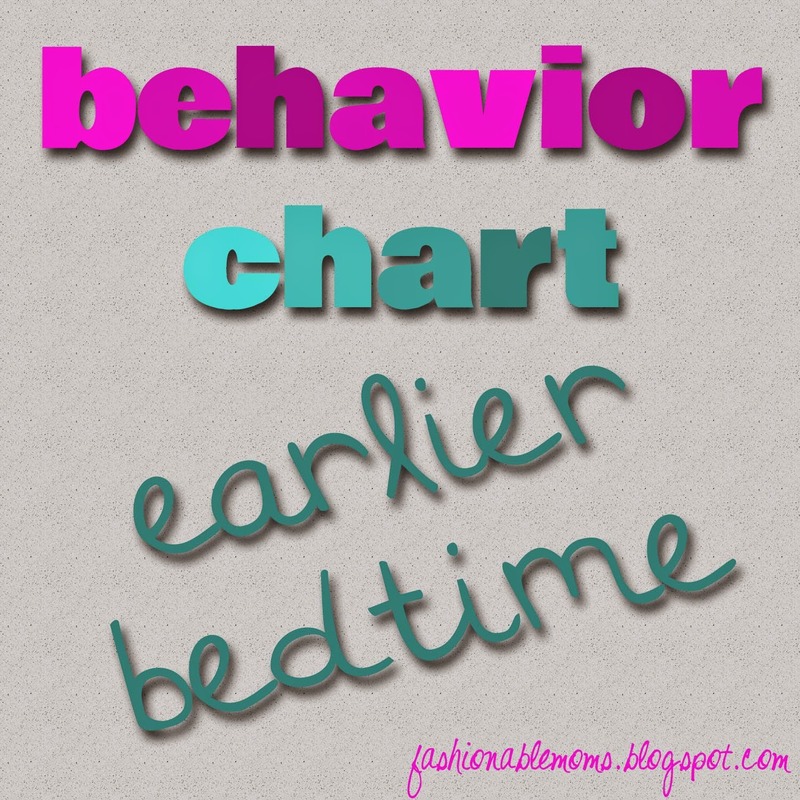 So when Jim thought up this idea of using the time they go to bed in the form of a punishment/reward system, I was already envisioning what the chart would look like! Each day we start the arrow fresh at 9:00. 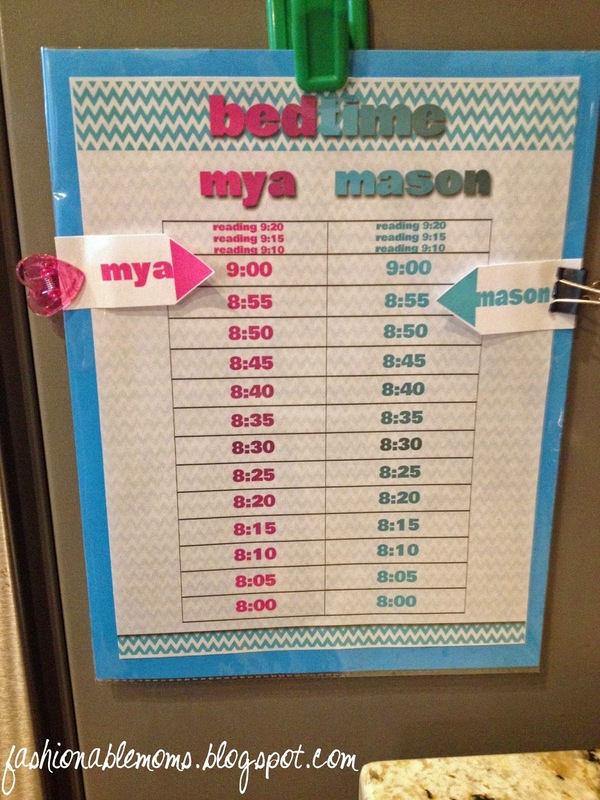 When the kids fight, do not listen, etc., their punishment is an earlier bedtime. 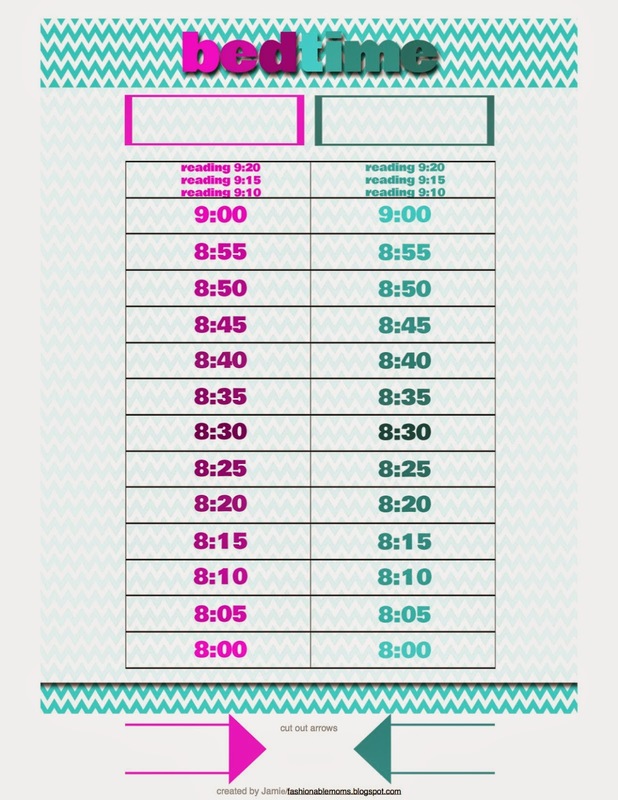 They can also do things to earn their bedtime back (extra chores, help each other, special jobs), as well as earn extra reading time. Here is the chart I created based on a 9:00 bedtime. Let me know if you try this at your house!